Update, 0815 PDT July 7: Boeing Corporate Headquarters responded to our questions. The transcript has been added to the article below. July 7, 2016, © Leeham Co.: Boeing’s controversial Partnering for Success (PFS) drew ire from its suppliers and scorn from observers for its heavy-handed, threatening cost-cutting demands: shave your costs to Boeing 15%-25% or be put on our own no-fly list of companies that we won’t do business with. Boeing wasn’t shy about who it targeted, or punished. Even supply-chain giant United Technologies was placed on Boeing’s no-fly list when it balked at the onerous demand. Now Boeing is moving forward with PFS 2.0, a second round of demands. PFS 1.0 focused on price. PFS 2.0 focuses on terms and conditions. Boeing wants to stretch accounts payables; some suppliers balking. Suppliers get credit for investing in technology. Threats cease in PFS 2.0. 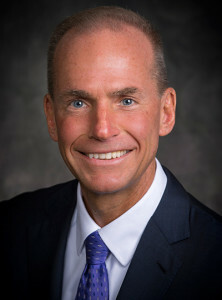 Dennis Muilenburg, CEO of The Boeing Co. Boeing photo. June 2, 2016: Boeing is not discovering more technical issues with the KC-46A, but recent issues relating to the refueling boom and wing pods are being worked through while concurrent production progresses. “As we discover things in flight tests, we have to roll them into the airplanes. This will be a wide-body program for decades,” he said, forecasting sales of 400 tankers, said Dennis Muilenburg, CEO of The Boeing Co., speaking at the Bernstein Thirty-Second Annual Strategic Decisions Conference 2016. Boeing KC-46A. Source: National Defense Magazine via Google images. announced on Friday, the start of the three-day Memorial Day weekend that its KC-46A tanker will be delayed yet again. Only 16 days earlier, Boeing CEO Dennis Muilenburg said the tanker was on time under a schedule that had been revised previously. If all this has a familiar ring, it should. The previous version of the KC-46A, the KC-767 International Tanker, was delayed four years in part because of flutter issues with the pod refueling systems. Only eight of these tankers were built: four for the Italians and four for the Japanese. Boeing took huge write-offs for these tankers. Will the latest delay be the last? Boeing is building tankers despite the need for rework and some internal design changes. Are we facing the prospect of a new set of “Terrible Teens”? Another write-off is probable-and it may not be the last. Will the full USAF tanker procurement yield a profit on the sale? Dennis Muilenburg, CEO of The Boeing Co.
April 27, 2016: Boeing delivered better financial results in first quarter that reflect “underlying strength” in the company, said Dennis Muilenburg, CEO of The Boeing Co., on the first quarter earnings call. Excluding charges of $243m pre-tax charges on the KC-46A tanker, earnings per share equaled last year. Charges related principally to engineering change to the completed tankers, required after flight testing began. Muilenburg said the program remains “on path” to meet the commitment to deliver 18 tankers by August 2017. With a potential program of 400 deliveries over the life of the program, Muilenburg said the program should be profitable. 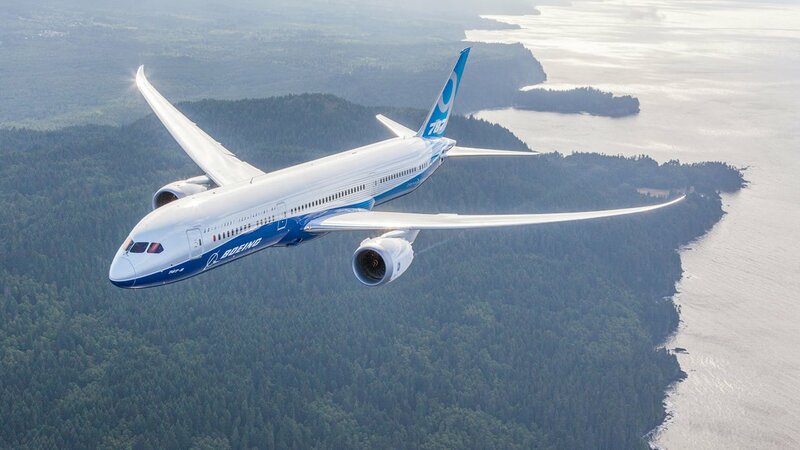 April 11, 2016, © Leeham Co.: Boeing has $29bn in deferred production costs and another $3bn in deferred tooling costs for its 787. The accounting block, for its program accounting, is a record 1,300 aircraft. Many Wall Street analysts are skeptical whether Boeing will ever recover the huge deferred numbers. Still, taking a charge of some number—as it has done twice for the 747-8 and twice for the 767-based KC-46A—is something Boeing repeatedly insists it doesn’t need to do. There are a few key reasons, say Wall Street analysts who follow Boeing: revenue, cash flow and the stock price. Bank of America Merrill Lynch estimates Boeing needs to post a profit of $30m on each of the remaining 900 787s to be delivered to recover the deferred costs. LNC figures this number is higher. Pricing pressure from Airbus makes it difficult to obtain this profit. The deferred costs limit Boeing’s ability to price down to meet Airbus’ offers to customers. Credit Suisse figures Boeing can recover only some $22bn of $29bn in deferred production costs. Boeing warns in SEC filings a forward loss might be required. But no forward loss is likely unless revenue falls short. April 4, 2016, © Leeham Co.: Boeing’s plans to reduce head count at Boeing Commercial Airplanes by 8,000 jobs this year dominated the news last week. Comparing employment figures with Airbus Commercial shows this reduction isn’t nearly enough. BCA has 22% more employees per airplane than Airbus. BCA is a bloated organization. Some of this undoubtedly is inherent to being a 100 year old company, compared with Airbus being less than 50. Airbus is more automated than Boeing as well. The bigger danger at Boeing is not Airbus pricing, but the potential for up to 15,000 early retirements this year by engineers, technicians and touch-labor. See Scott Hamilton’s column at Forbes online. 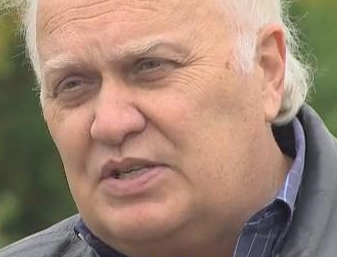 Job cuts drive margin at Boeing, analyst concludes. March 31, 2016, © Leeham Co.: Boeing has to cut costs. So it’s cutting 10% of its work force. Ray Conner, CEO of Boeing Commercial Airplanes. Photo via Google images. Pricing pressure from Airbus, says Ray Conner, the CEO of Boeing Commercial Airplanes (BCA). The Seattle Times, which reported March 30 that it obtained an internal memo citing the 10% number, quoted Conner extensively from a Feb. 10 internal webcast that Boeing is losing orders to Airbus over price. Declining market share, especially for the 737, is a major concern, The Times quotes Conner. “Their biggest weapon that they’re using in the competitions today is price,” Conner told employees. “They are attacking us with price in every single campaign. And as a result of that, you know, we’re being pushed to the wall,” Dominic Gates of The Seattle Times wrote, citing a transcript of Conner’s internal comments. Gates went on to write that “In justifying the anticipated cuts to employees in last month’s internal webcast, Conner was unusually frank as he invoked a dire threat from Airbus. Gates went on to extensively quote Conner in his article and the defensive posture Boeing is now in vis-à-vis Airbus. Feb. 8, 2016, © Leeham Co.: Boeing’s surprise guidance for 2016 for fewer deliveries on the 737 and 767 lines raised as many questions as officials answered on the Jan. 27 earnings call. The lower guidance led to about a 9% drop in stock, from $128 to $115. As of Friday, the stock had recovered some, trading in the low $120s. Boeing’s explanation about the lower guidance for 737 deliveries—12 fewer this year than in 2015—seemed, on the surface, reasonable. As the 737 MAX entered production, both with test aircraft and the first production airplanes, officials said this will lead to fewer deliveries of the NG. But as stock analysts digested the information, skepticism arose. David Strauss of UBS issued a note last week in which he concluded the real reason for the lower deliveries is a likely production gap—not enough NG sales were achieved to bridge the gap from the NG to the MAX.